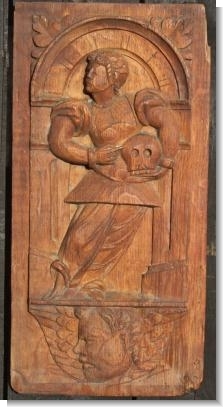 A good mid 16th Century Panel depicting a gentleman holding a skull. 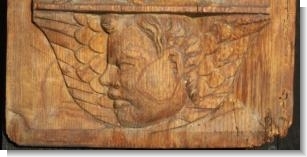 This may represent St. Francis. 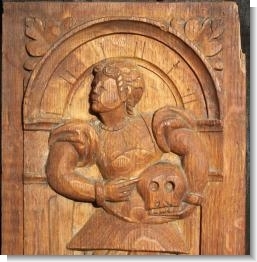 When Christian art depicts skulls near a saint, it symbolizes the person's wisdom and prudence. The skull represents, vividly and compellingly, human mortality. We are all going to die, and death may come at any time. Keeping this fundamental truth in mind helps us live each day more meaningfully. Instead of storing up riches and over-indulging in pleasures. Great dry surface, old glue to back.